Everyone Belongs at the FHS Library! Come down to our library during April for School Library Month. Explore our diverse book collection. We have so many books on so many topics. Explore the diversity of NYC during our Easter/Passover holiday. If you're staying local, take advantage of the public library CULTURE PASS and visit a NYC Cultural Institution for free. Visit the Brooklyn Botanical Gardens for the Annual Cherry Blossom Festival: April 27 and 28, Sakura Matsuri 2019. If you can't wait until April 27th, head to Macy's Herald Square for the Amazing Flower show, Journey to Paridisios, on display until April 9th. 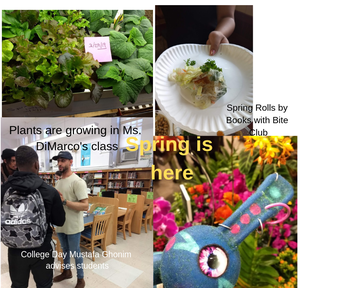 It's the best year yet, see the solar system in flowers, take a photo in the Venus Fly Trap, join a tour to explore all the details. According to New Visions, reliability is still a part of the regents. Documents will be presented with the question: "explain how audience, purpose, bias, OR point of view affects this document's use as a reliable source of evidence." These same skills are used when students are taught to analyze evidence and assess its reliability. For more details about what changes are ahead, read the New Visions USH Exam Changes document. Teachers, refresh and renew by revisiting the Museum of Jewish Heritage in NYC. Don't miss Auschwitz, Not Far Away, Not Long Ago currently on view, plus there are educator workshops throughout the year. Heather Morris, author of The Tattoist of Auschwitz, will be speaking at the museum on April 16th at 7:00 pm. Reserve your tickets now.We also have a large selection of books. The Light You Cannot See by Anthony Doerr, was featured on the ELA Regents August 2017 as Part 3 question, Text Analysis Response. Based on the inspiring true story of Dita Kraus, a 14 year old girl who hid eight books at Auschwitz and became "the librarian of Auschwitz" keeping inmates' spirits alive through books. 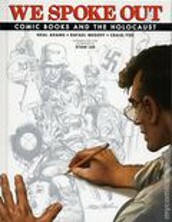 A fascinating look into the role cartoonists played in predicting the horrors of the rising Nazi regime in the 1930s. The annual list of the best apps is here from the American Association of School Libraries. This is a great resource for the latest resources for teaching and learning. Some highlights this year include The Global Oneness Project, and Kapwing: an online editor for images, GIFS and videos. Just to lighten up a bit, April is also National Poetry Month. 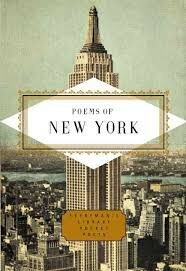 Celebrate by reading a nostalgic poem about New York. 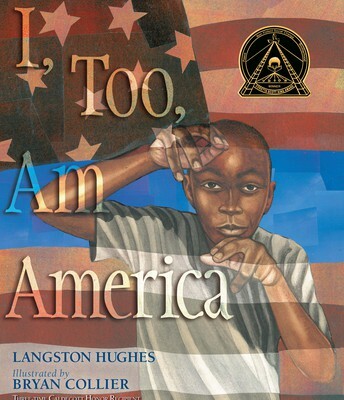 Bryan Collier illustrates the disturbing yet hopefully optomistic poem I Too Am American by Langston Hughes. The poem speaks of the "relentless courage and dignity the Pullman porters showed in their daily work." 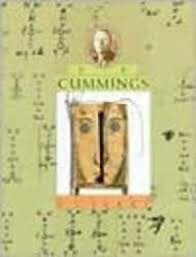 A colorful collection of the work of e.e.cummings, accompanied by period photographs and evocative illustrations. Part of the Voices in Poetry series. Pick up a free copy of YC Teen in the library. 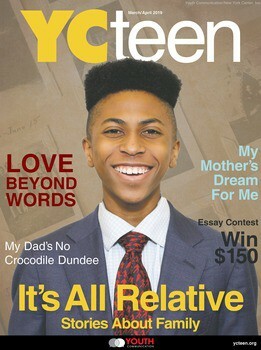 YC TEEN is a bimonthly newsletter geared to the modern issues teens face. Interactive student centric lesson plans are available online. Do you have an aspiring writer in your class? Encourage your students to apply to the Youth Communication Summer Program . Deadline to apply is May 17, 2019.